Ever since debuting as a background Frackle (that’s Henson-speak for anonymous monster) on The Great Santa Claus Switch back in 1970, Gonzo has slowly grown into one of the most complex characters in the Muppets’ ranks. Although The Muppet Show presented him as a daredevil from the very beginning, he had a strange sense of defeatism about him in season one, largely due to his downcast eyes and low energy. Whenever one of his elaborate stunts failed (which was always), he looked disappointed in himself. Jim Henson picked up on this and, worrying that Gonzo’s sheepishness was too similar to Fozzie Bear’s, asked puppeteer Dave Goelz to give the little guy some more pep. Goelz more than rose up to the task, outfitting the Muppet with mechanical eyelids that allowed expressions of surprise and excitement as well as moroseness. He then threw in an attraction to chickens, and boom, a star was born. But even as Gonzo became a gleefully masochistic performance artist, Goelz continued to hold on to some of the more contemplative aspects of his personality, especially when it came to his identity. In The Muppet Movie, for instance, Gonzo feels most at home while floating high above the ground via a fistful of balloons. When he and the gang get stranded in the desert later on, he longs to return to the sky, even though he’s not quite sure why. This eventually got explained in 1999 with Muppets From Space, which revealed that Gonzo isn’t just a weirdo—he’s an actual alien. When I heard that this first season of The Muppets, a show that’s had difficulty reconciling its characters’ classic traits with its zeitgeisty concept, was going to include a Gonzo-centric episode, I wasn’t sure how it was going to go. Would it honor all of the above history by exploring his introspection, or would it do something stupid like pair him up with David Blaine for a failed stunt on Up Late With Miss Piggy? Thankfully, it’s the former. Not only does “Going, Going, Gonzo” treat the Muppets’ resident whatever with the complexity he deserves—it manages to showcase just about every iteration of his character. When the episode begins, it’s as if Gonzo’s retreated into the more introverted, down-on-his-luck oddball from the beginning of The Muppet Show. He moves a little slower, his eyelids a little droopier than usual. Looking back, that’s how he’s been portrayed throughout The Muppets so far, but since we finally get an evening dedicated almost entirely to him, it becomes more apparent here. Only when Sweetums almost accidentally kills him on the set of Up Late does Gonzo snap out of his daze. Lying on a pile of fallen set-pieces, his eyebrows arch upwards and his voice goes high. The amped-up daredevil—and the Gonzo from latter-day Muppet Show episodes—is back. Kermit—perhaps back in his helpful Zen state after building a swamp in his backyard—senses Gonzo’s fear and urges him to call off the stunt, telling him that it’s okay to be afraid. While Gonzo listens, he insists that he’s not canceling out of self-doubt, but because of bad weather and Piggy’s forced product placement. As much as Kermit doesn’t believe him, he’s also compassionate enough to not call Gonzo out on it. Goelz’s vocal performance during this understanding between two old friends is particularly affecting, world-weary and filled with a broken nuance that seems to draw from his own long history in showbiz and all the changes that come with it. Remember, he’s the last of the original Muppet performers to still voice his signature character. That emotional wallop of an ending makes “Going, Going, Gonzo” the first Muppets episode to fully capitalize on the show’s potential, to blend the old-school sweetness (friends) and anarchy (cannons) of The Muppet Show with some more complicated feelings. That’s the benefit of placing the Muppets in our world: not making the characters fight with celebrities or rehash old sitcom tropes, but giving them an environment where a more diverse emotional palette doesn’t feel out of place. Throughout the episode, we see Gonzo move through self-loathing, excitement, fear, friendship, and, finally, triumph. That’s nearly 40 years of character development distilled into 30 minutes—more than enough to make me hope the upcoming reboot doesn’t completely undo tonight’s good work. 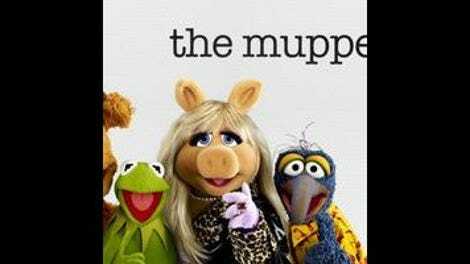 Like Gonzo himself, maybe The Muppets is finally starting to find its groove. Apologies that the hero image at the top of the page doesn’t relate much to the rest of the review. Somehow, none of the press images for this episode featured Gonzo. I’ll switch it out if a more appropriate one pops up. I wanted to keep the body copy mostly about the main arc, but the b-story with Scooter trying to be more adventurous by hanging out with the Electric Mayhem worked well, too. Note that neither storyline strayed too far from the Muppets’ studio—or the Muppets themselves. Still, I’m wondering why we’ve gotten so much Scooter this season. He’s had a lot more screen-time than Gonzo, and even Fozzie. Is he that popular among fans? Clickhole leads me to believe no. 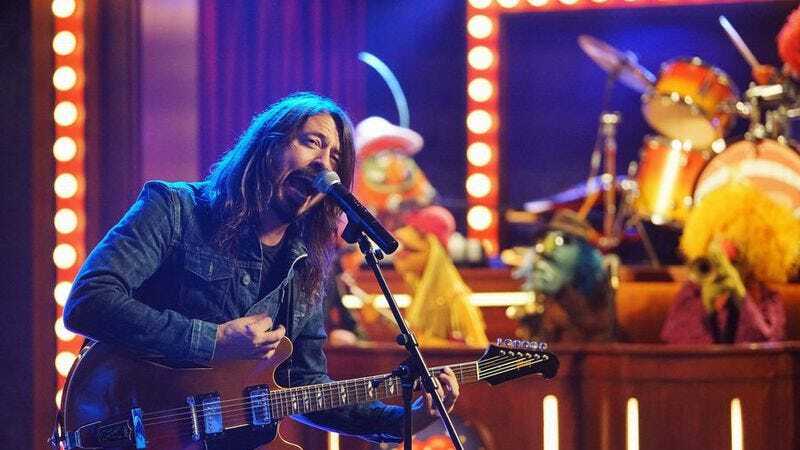 And yes, Dave Grohl’s much-hyped drum battle with Animal was appropriately badass. How could it not be? That being said, it would have been even better if he was wearing his Animool getup, and I don’t think the duel was quite on the same level as the one with Buddy Rich. Joseph Gordon-Levitt was also one of The Muppets’ stronger guest stars, and much to the show’s benefit, the episode didn’t revolve around him. The same goes for Grohl. The celebrity cameos continue to work best when the actors just hang out with the Muppets rather than overshadow them. “This is a wakeup call, and not the usual kind where mom comes in and plays a James Taylor tune until I gently stir awake.” Scooter’s relationship with his mother gets creepier and creepier. 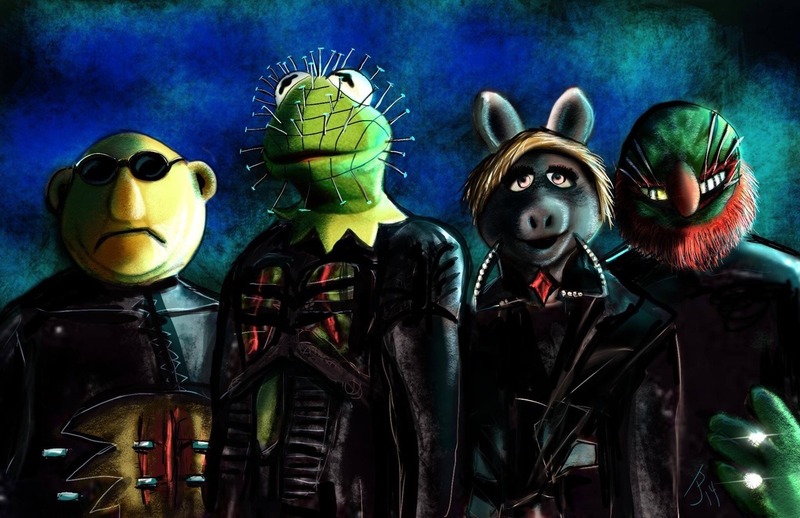 Speaking of creepy, Miss Piggy looked like a Cenobite with all those needles in her face. It reminded me of this. “I just want to live in Chicago. Good food, good people, no pressure on the body image.” Amen to that.